Erich Gonzales's admirer denies using actress for "business opportunity"
"I am not affiliated to any company besides GUANXIQIAN GROUP nor a member of any network marketing companies to date. The billboard is my sincere coffee date invitation for Ms. Gonzales, not a 'business opportunity presentation over-coffee-invitation' strategy, affiliating me to your respective companies," said a non-showbiz guy named Xian Gaza (left), who invited his celebrity crush Erich Gonzales (right) for a coffee date by mounting a billboard in Morayta Avenue, Manila. 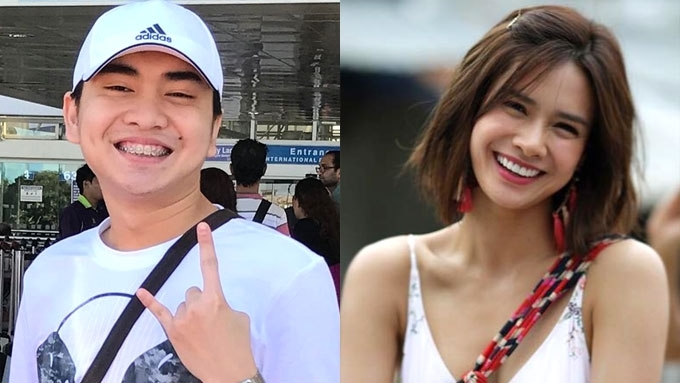 Erich Gonzales’s aspiring suitor Xian Gaza drew flak from netizens after his coffee-date invite to the Kapamilya actress went viral online. 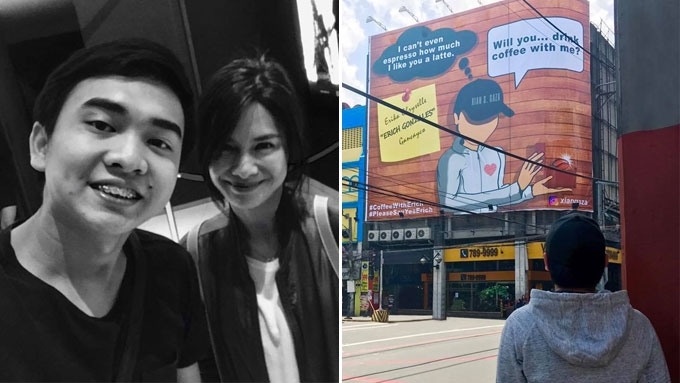 The non-showbiz guy—who identified himself as a self-made businessman—asked Erich to have a coffee date with him by mounting a large billboard along Morayta Avenue in Manila. Xian's Facebook profile indicated that he's a CEO to a certain Hong Kong-based company called Guanxiquian Group. While a lot of female netizens were wowed by Xian’s grand romantic gesture, some naysayers expressed doubts over his real intentions towards Erich. In his Facebook post last Saturday, July 1, Xian denied allegations that his coffee-date invite for Erich was supposedly a “business strategy,” adding that he's in no way affiliated to any network marketing companies. The non-showbiz guy also insisted that he has nothing but "sincere" intentions towards her. He also slammed netizens accusing him of being a show-off. 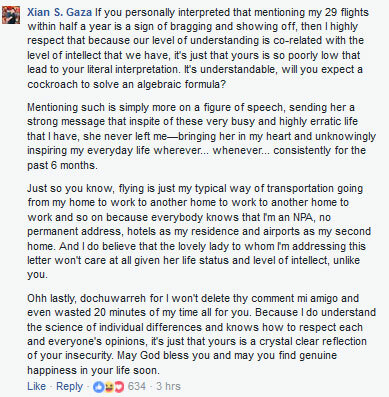 Based on his latest Facebook post, Xian revealed that he's a single parent but is not committed to anyone at the moment. He wrote, "I'm a bachelor and very single but yes, I have a son and I am a very proud father. "I'm a perfectly imperfect person with a past full of flaws and if you will judge me for that, you have all the rights in the world to throw stones at me. "I would rather be hated for who I really am rather than be loved for who I am not. All I want is to be genuinely happy in life and Erich Gonzales is what my heart truly desires." PEP.ph (Philippine Entertainment Portal) tried to reach Xian for comment via Facebook messenger, but he has yet to respond at press time.